Hummingbird in flight feeding. The camera captured this beautiful creature as he was feeding on a bright flower. 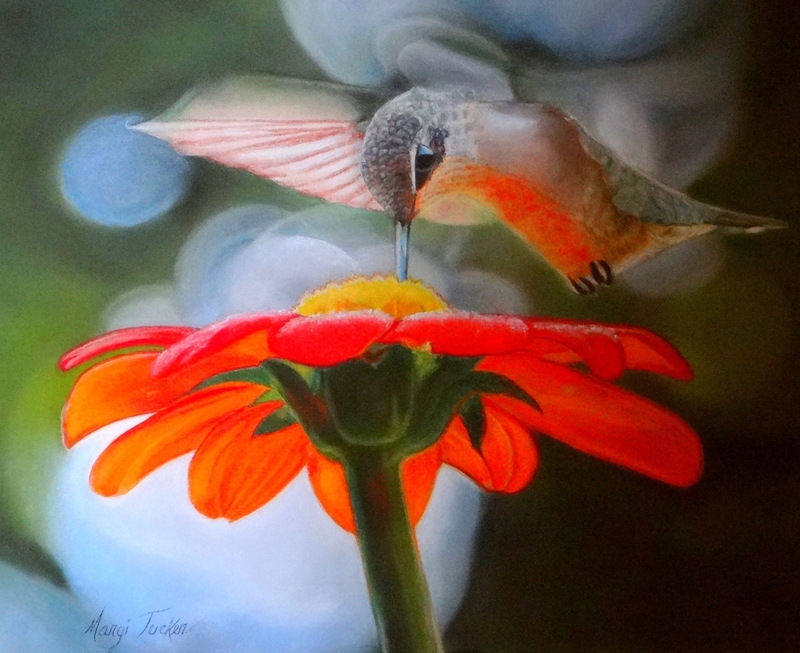 The colorful flower is reflected on his breast and his wings are moving so fast that you get a fleeting glimpse of their structure, The original painting is in a private collection. 5" x 6.25"6" x 7.25"7" x 8.5"8" x 9.75"9" x 11"10.5" x 12.75"